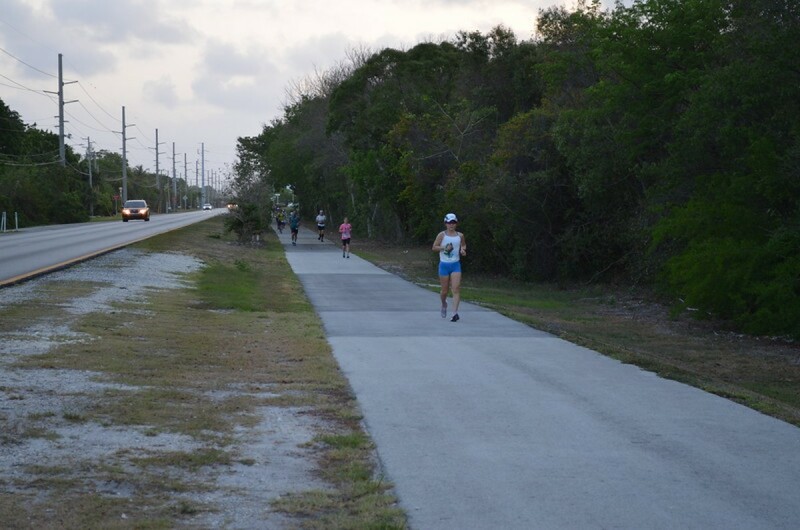 The 12th annual race is a 100-mile point-to-point event beginning in Key Largo--Marathon, for the 50 mile race and Big Pine Key for the 50 Km race--and ending in Key West on the Atlantic Ocean at Higgs Beach. Eleven (11) full aid stations serve all individual runners; these are located at approximately ten (10) mile intervals. Coolers with ice and water are positioned at approximately five (5) mile intervals. Spectacular scenery as you cross 43 bridges with the Atlantic Ocean on the left and Florida Bay/Gulf of Mexico on the right. Finish on the sand at Higgs Beach, where the party is on. Distinctive awards. Recover in the one-and-only Key West, Florida. Primarily paved bike trails, pedestrian bridges and paved road shoulder, Big Pine Key to Key West. Four fully stocked aid stations plus two unstaffed water/ice locations.